Should we treat the bands every time they release a cd, as if they are new or to weigh it against what they have done before? Should we accept a cd, like a debut, or compare it with previous work? How productive a band can be after 5, 7 or 10 cd? Can it always be in its peak, presenting masterpieces or ever reinventing itself? And finally why don't I just hear the music, and let the songs speak for themselves, their lyrics, melodies, instruments and voices? Is The Whole Love worthy of such treatment? If you read most reviews of the recent work of the band you would say it's not worth the trouble to listen. Yet The Whole Love has many songs to be heard, and though it will not change the course of the band or music, but it'll offer beautiful moments. And what better than the first 2 songs, and the 7minute tweaked Art of Almost and playful I might, that even Vampire Weekend would envy. From there on, "small" and "large" songs follow to get to the closing of The Whole Love, the 12-minute One Sunday Morning, a song pure and clean, like an old story. In between you will have a good time with Dawned on me, Born Alone, you will get bored with the Open Mind & Capitol City, you'll have fun with Standing, you will smoke a cigarette in Rising Red Lung. 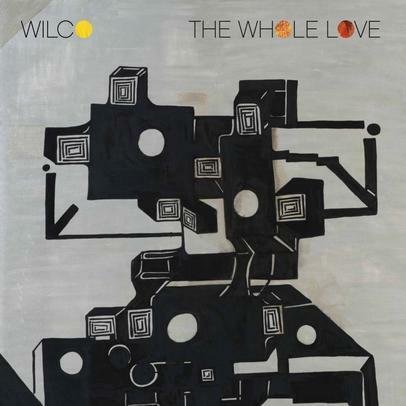 Wilco are reminiscent of Wilco in their eighth cd I think, pure Wilco sound, without more or less. Some might be bored, but do not pass it over. And if you should stick to songs, just listen to the first 2 and the last.